I just wanted to say a million thank you's not only did the cake cheer me up on Saturday but it was also very beautiful and professionally done. It was a highlight of the party and it was delicious! yum. Thank you for all your hardwork and crafting such a yummy jewel. Thank you so much for the time and effort put into making our wedding cake - it was perfect!!! my daughter and son-in-law's wedding on February 20th at Hidden Valley. flavoursome. Everyone enjoyed it and commented upon it. My husband & I want to thank you for the amazing piece of art you create for us. He isn't a cake person but upon cutting the cake, he made me promise that I'd keep a piece for him for the rest of the week! All our guests were ranting about how beautiful the cake looked, but the main attraction was how delicious it tasted! You are truly blessed with an awesome talent. Thank you once again and I look forward to experiencing more of your artistry in future! Graag wil ons net baie dankie se vir die prentjie mooi koek wat jy vir ons gebak het. dankie vir jou profesionele en vriendelike diens. Die koek het uit die boonste rakke geproe en daar het nie n stukkie oorgebly!!! Dankie dat jy deel was van ons sprokie. I would just like to thank-you so much for the great job done on our cake, it looked absolutely gorgeous and tastes divine. We couldn't have asked for a better person to make it for us. You have done a wonderful job we are very impressed, keep up the good work. Hier is ’n foto van die amazingste koek ooit! Baie dankie vir al jou moeite. Jy sal beslis weer van my hoor en ek recommend jou regtig aan almal. Almal is steeds besig om te sê hoe amazing dit geproe het. Dit is regtig die beste koek in Suid-Afrika. Just wanted to say thank you for making my mom's birthday cake! It looked amazing and tasted delicious!! Wil net vir jou laat weet dat die mense MAL was oor jou cupcakes! Baie dankie dat jy dit so op kort kennisgewing gedoen het, ons gaan definitief weer van jou gebruik maak in die toekoms! A very BIG THANK YOU for the beautiful cupcakes and Minion birthday cake. A party without a cake is just another meeting. The cake was delicious and so moist, everyone commented on that. And of course it was great to look at too. Thank you so much! Baie, baie dankie vir Aiden se cupcakes vandag - dit was amper te oulik om te eet! En dan was dit nog regtig lekker ook. Baie dankie! Thank you so much for the most amazing cakes, biscuits & cake pops. You are a true artist with a passion for not only making unbelievable confectionary but for making people happy. So many people have asked for your number, so I’m sure you will be receiving more orders. Rozanne, I just wanted to say thank you so so much. I never imagined or expected the cake to be so beautiful. Will definately recommend u and use your services again. 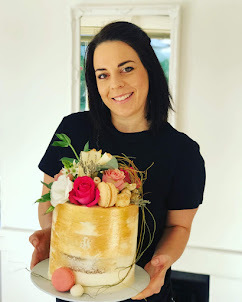 Rozanne ek wil net vir jou baie dankie se vir die koek wat jy gebak het. Dit was heerlik! Ons almal het dit vreeslik geniet. Ek het jou naam vir n paar mense gegee wat jou gaan kontak. Thanks so much for the delicious cake! Reviews were 100% correct, awesome looking cakes that tasted great! See below a very happy birthday girl. Hi Rozanne, thanks for the amazing cake on Saturday, everyone loved it. A few people asked me for your details, can you send me your cake flavours list again because I want to send it to the ones who asked for it with your contact details should they wish to order from you. Dit was letterlik die heerlikste en most spectacular koek ooit. Lara het aanbeveel dat ek jou weer kontak aangesien jy verlede jaar vir ons CEO ‘n beautiful koek gebak het en ons wil graag weet of jy beskikbaar is? The cake that you presented us with was absolutely stunning. Beautiful to look at and delicious to eat. Vreeslik dankie, die koek was so mooi en ongelooflik lekker. Die kinders was gaande oor die cute cup cakes. Jy is amazing! Rozanne thank you so much for the amazing cake that you made for my daugters confirmation.. Not only was the cake beautiful but also delicious and moist. I never really eat these cakes and sometimes feel that i have wasted money just to buy something to display but this cake was the best i have tasted and the 1st time that i had to hide cake from my guest otherwise i would not have any .